Our B&B is family-run, welcoming and comfortable. 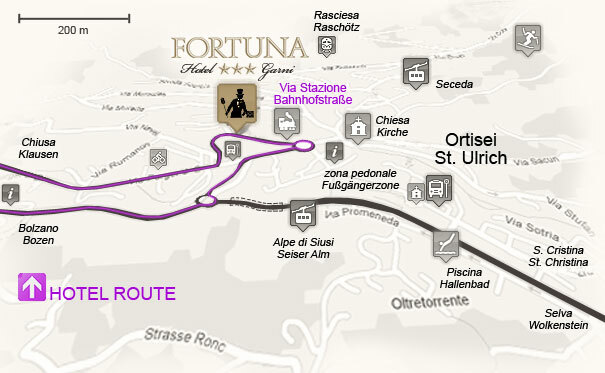 It is close to the center of Ortisei, the “capital” of Val Gardena. Hotel Fortuna is on the historic Via Stazione, which is particularly colorful on Fridays with a weekly market just down the road.